Remove Duplicate Emails, Calendars, Tasks, Contacts, Notes, etc. PST Duplicate Remover Software is a well-designed program that helps in removing the copied items from multiple Microsoft Outlook files at a time. Users just need to add the folder, which has various PST files and then the tool will eliminate all the duplicates from it. With the help this PST File Duplicate Remover, it becomes very easy for users to delete similar PST files. It can erase the duplication from emails, contacts, notes, calendars, tasks, and journals. In addition, users can mark or unmark the items for desired data deduplication. The PST File Duplicate Remover Tool has the potential to add various Outlook PST data files at once. Users can list the PST files on the panel of the software along with the attributes. These include File Name, status, File path, duplicates that are detected, and the name of item. Apart from all the other features of this software, the tool allows to save the resultant PST files into any of the desirable location. Users can store the files by creating a new folder and choose any of location to save this folder. Moreover, it keeps the entire data safe during the process. As soon as the procedure of the removal of duplicates items begins, the utility comes up with a status report. This means users can see the entire process by the report displayed by tool. This is helpful to checking the status of deduplication procedure. Can I remove duplicates from various PST files with PST Duplicates Remover? Yes, this is an efficient tool and therefore makes it possible to delete the duplicates from multiple PST. Is it possible to eliminate duplicates from Outlook PST emails by using this software? Yes, you can erase the duplicates from all the items such as tasks, calendars, contacts, etc. along with emails. Can I run this utility in Mac OS X and remove the copied PST data files? No, this is a Windows based utility and therefore, cannot be accessed in Mac OS X. Does the application permit users to examine the duplicates across the folder? Yes, with the help of this program, you can check the duplication within or across the folder with no difficulty. Do I require the installation of MS Outlook to perform the entire procedure? Yes, the tool needs the installation of Microsoft Outlook for executing the process of deduplication. Does PST Duplicate Email Remover have any kind of restriction of file size? No, there is no file size limitation associated with the software for removing the duplicates from PST. PST Duplicate Remover is one of the best software I have ever used throughout my career. With the help of this utility, I have removed all the duplicate emails from PST. I have performed entire procedure within some few simple clicks with the help of this utility. 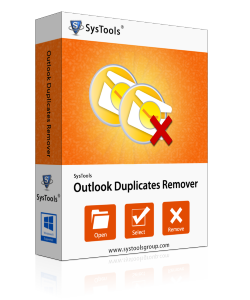 This is the best Outlook duplicate remover, I have ever used. This is an amazing utility to perform the deduplication of Microsoft Outlook PST data items. It brings forth many options to perform this task in a quick and accurate manner. I want to say a big thank you to the entire team of developers and would like to use it in future as well if there is a need.